And yet the converse appears to be true: that is, the delegitimisation of the Islamic State is a call for the BBC to make. 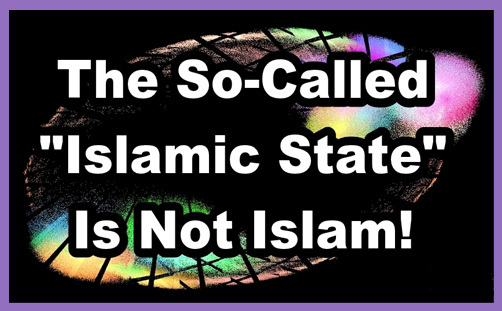 Certainly, Islamic State is not a recognised state, and many would say that neither is it particularly Islamic. But this is what it calls itself, and we live in an age of subjective realisation: we are what we say we are, even if biological science, geopolitical evidence, historical facts or common sense conflict with assertions of self-identity. So it is longevity of usage and wide acceptance which determines BBC/C4 policy? How long is long enough? How wide does the wide acceptance need to be? Why do they not refer to “so-called Palestinians” or the “so-called Palestinian Territories”? Must it be centuries of wide acceptance, or will decades suffice? Why is it not the “so-called Catholic Church”? Why is the church that calls itself Catholic legitimised with assertions of universality when it is patently not universal? Why is that a call for the BBC to make when many millions of Orthodox and Protestant and Anglican Christians do not acknowledge its claim to catholicity? And what about the “so-called Church of England”? As far as the Church of Rome is concerned, the Church of England is not a church “in the proper sense“: it is a mere “ecclesial community”. Certainly, Parliament has determined the status: the Church of England is “by law established”, but why is it for the BBC to perpetuate the rights and privileges of a tiny (and getting tinier) denomination? The BBC refers to ISIS as the “so-called Islamic state”. I wish the BBC would stop calling it Islamic State because it’s not an Islamic state. What it is, is an appalling, barbarous regime … It’s a perversion of the religion of Islam and many Muslims listening to this programme will recoil every time they hear the words Islamic State. Cameron can deny there’s such a thing as the Islamic State all he wants. He cannot pretend that vast amounts of territory in Iraq, Syria and Libya are under it’s control. Britain might not recognize ISIS’ claims on that territory, but it doesn’t change the facts on the ground. In fact, the amount of territory it controls is larger than Britain itself. …What this is really about is bending over backwards not to offend the sensibilities of Britain’s large Muslim population. And that brings us to Mohammed: why is he not the “so-called Prophet Mohammed”? He married a six-year-old child, dealt in (and owned) slaves, raped women, beheaded Jews, pillaged and tortured many thousands. If he had statues, they’d surely be tearing them down by now. Why does the BBC both assent to and affirm the prophethood of such a man when he is very widely believed to have been a false prophet? You simply cannot reconcile the Jesus of the Bible with the Isa of the Qur’an. The former is the crucified Messiah, the Son of God who died an agonising death on a cross, was buried and rose again on the third day. The latter is another Jesus who was not the Son of God and was not crucified: he was just a miracle-working prophet. For if he that cometh preacheth another Jesus, whom we have not preached, or if ye receive another spirit, which ye have not received, or another gospel, which ye have not accepted, ye might well bear with him (2Cor 11:4). But there were false prophets also among the people, even as there shall be false teachers among you, who privily shall bring in damnable heresies, even denying the Lord that bought them, and bring upon themselves swift destruction (2Pt 2:1). Why is the affirmation of Mohammed’s prophethood a call for the BBC to make? The problem with ‘so-called’ is that it is derogatory: by applying the term to the Islamic State, the BBC is not merely delegitimising the group’s claim, they are pouring scorn upon it. Why is that a judgment call for the BBC to make? By referring to Mohammed as “the Prophet”, don’t the BBC/C4 legitimise Islamic beliefs? Don’t they affirm that he recited the divine word which became the Qur’an? Don’t they endow him with a heavenly source of authority? Indeed, don’t they legitimise to a degree the very religious teachings and instructions which inspire ISIS/ISIL/Daesh or the so-called Islamic State to be so barbarous? You can’t separate language from logic: if the Islamic State is ‘so-called’ because not to call it so would legitimise its claims to be that which it is not, then the BBC and C4 need to be consistent in their expressions of political reason and religious truth because language expresses categories, and these categorical distinctions influence the mind and control understanding; they inculcate the very permanence of identity which David Waddell insists is not for the BBC to make. Perhaps some so-called liberals in the media might reflect on these things: it would be good to examine the relationship between words, sentences and states of affairs, for saying something is true does not make it so.